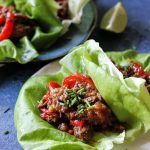 Packed with flavor, low carb, whole30, Paleo and Keto Cuban style beef lettuce wraps cooked in Instant Pot! Lots of us starting a new eating journey in a new year, maybe trying to lose weight or just get healthier. 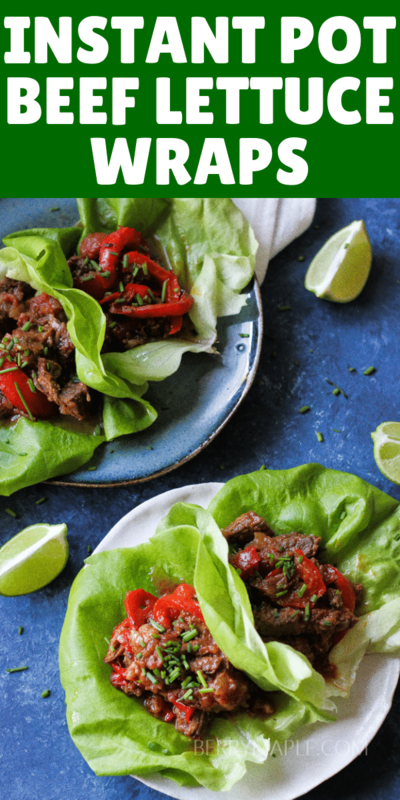 This beef lettuce wraps will help you achieve your goals without sacrificing any flavor. Also my Instant Pot inspires me to cook more food under pressure, so quick and easy! We tried this lettuce wraps a bunch of times, and each meal was a perfection. My kids had lots of fun with wrapping meat in lettuce, what a unique and creative opprtunity to teach your kids eat healthy and make right choices. Also you can use lettuce for all kinds of dishes, from seafood to pork! 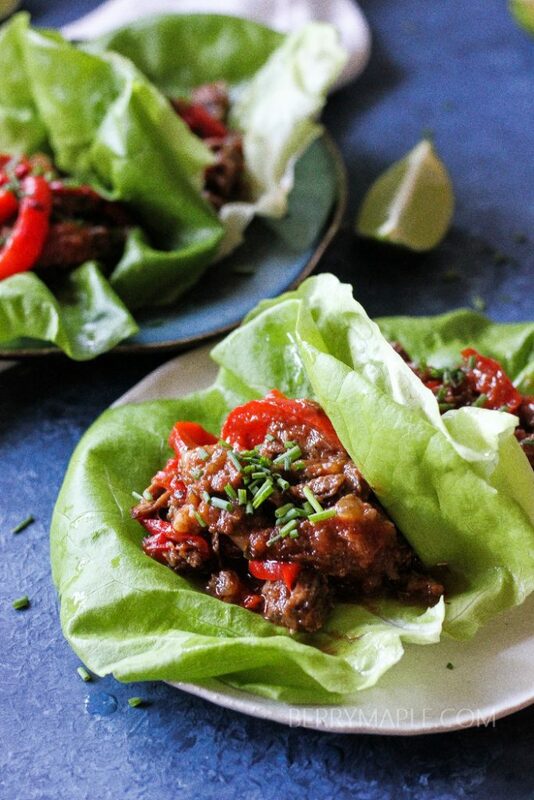 Wrap Caramelized sweet pork in lettuce and you will get a healthy lunch or snack that is delicious and guilt free! 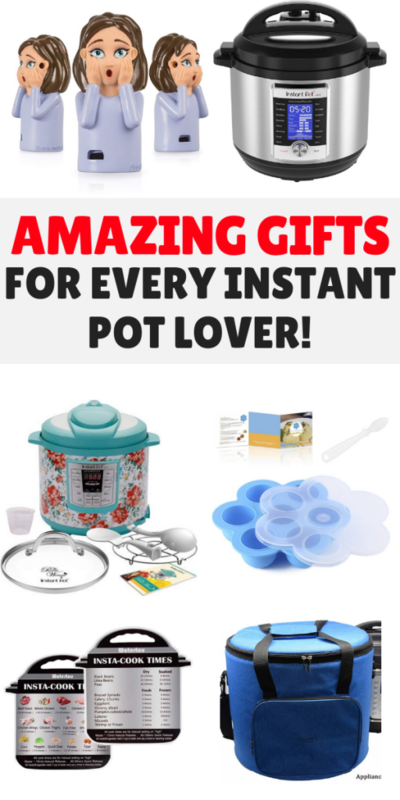 How many of this great Instant Pot accessories do you already own? 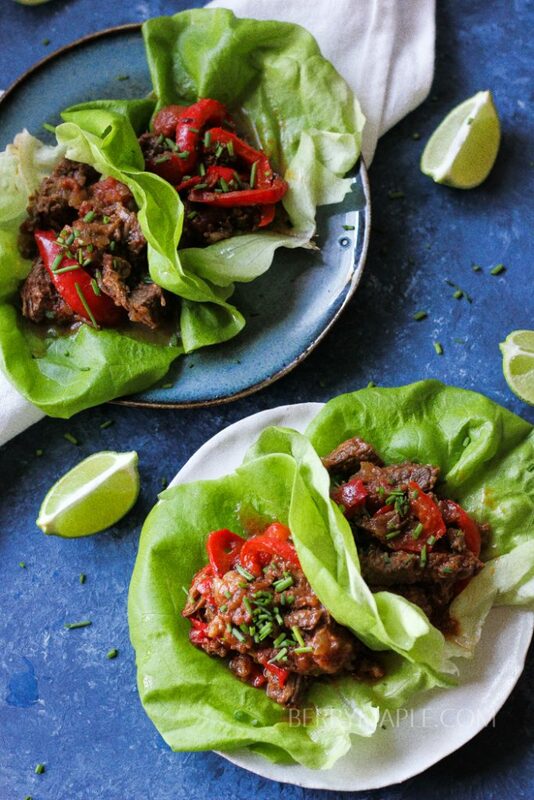 Packed with flavor, low carb and whole30 Cuban beef lettuce wraps cooked in Instant Pot! Turn your instant pot on, switch on the saute mode. Add oil in the pot and when its smoking, add beef. Brown on each side, then add onions and garlic. Cook for 5 minutes. Add oregano, broth, scrape all brown bits from the bottom, using a wooden spoon. Stir in tomatoes, olives, salt and pepper. Close the lid and push on a stew button. Adjust to 25 minutes on high pressure. Quick release the pressure. Transfer beef on a cutting board and shred. Meanwhile turn on saute function on your instant pot, add sliced bell peppers and cook for about 15 minutes. until tender. Stir in beef. Wash and dry butter lettuce. Separate into single leaves. Add Shredded beef mixture in to every lettuce cup and serve. Turned out delicious but soup or stew consistency. Also seemed to be more than 6 servings. Might drain the tomatoes next time or half the broth. Added goat cheese crumbles, avocado slices and lots of fresh lime juice for some fantastic flavor variations, while chipping away at all the leftovers. Recipe calls for 1/2 green olives sliced. 1/2 cup? Just made this tonight and mine turned out with way too much liquid. Almost like a stew. I followed the directions step by step so I’m not sure what went wrong. Any ideas? This is AWESOME. Love these flavors, and this being Whole30 and Paleo is an added bonus. I love that these are Whole30! Such a satisfying and guilt free meal!! Lettuce wrap + flank steak! Basically a perfect meal! Looks great. I love how simple this is! I would stir the beef into some scrambled eggs in the morning too. Oh yum! These look so tasty! I love they are done in the instant pot for zero effort! Can’t wait to try this one out on my husband and better yet I can use my favorite kitchen appliance. Win! Win! I love how the Instant Pot cooks tough cuts of meat, like flank steak, and makes them juicy and tender! Mouth-watering! This is one of those recipes I want to reach right through the screen to grab and eat! The meat and fresh lettuce look SOO good and perfect! Yum! Pinned to my W30 board. I love Cuban flavors!! You have put them together perfectly in this recipe! I look forward to trying it! Omg so craving this now!! Living in Miami this is something I’m always in the mood for! 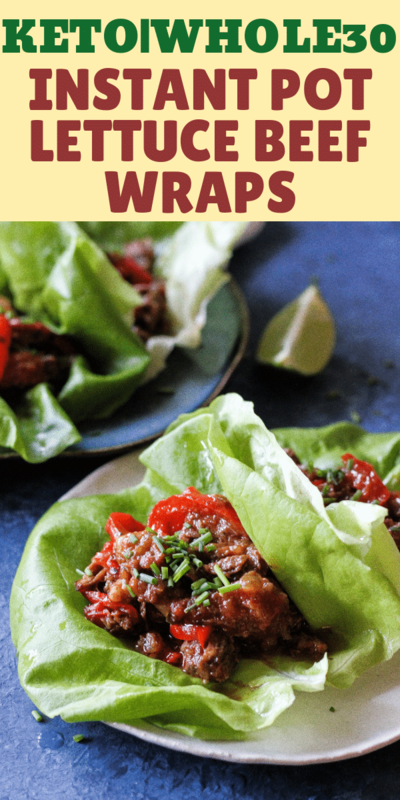 I love lettuce wrap, and these look fantastic! You are inspiring my dinner right now. Oh these look so good! I love that they’re served in butter lettuce – that’s my favorite lettuce.